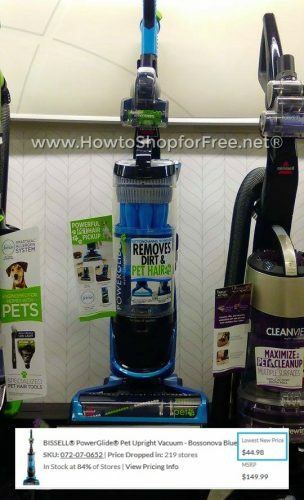 WOWZER.. 70% Off BISSELL® PowerGlide® Pet!!!! Pet parents, check your zip code HERE for this HOT in-store Target clearance! You might just score this amazing vacuum marked down from $150 to UNDER $45.00!